for people . . . just like you! You talk on the phone directly with your garden designer as you both view garden concepts and garden ideas on our special Internet website. You measure and take photos. We design. You review the structure of the design and then we complete it and send in two weeks. 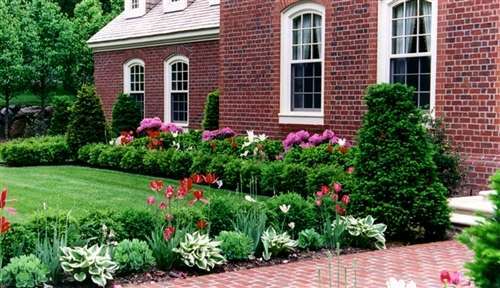 You hire a local landscaper to install or you can install. We can supply you with detailed bid specs on all the plant, organic materials and plant supplements in case you decide to hire a local landscaping company to do the garden installation. If you decide to install the garden yourself we can provide you with a list of plants to purchase locally, a list of the plants we can ship you, details on exact organic and plant supplements to buy. Extra Garden design prints are available for the landscapers or for your work in the garden. We can assist with questions you may have and make sure your garden installation is successful. We are also available for questions as the garden is maturing. Your designs remain on file so the designers can continue to assist you into the future.